One of the most delightful aspects of being a foodie is sharing meals with friends from wonderful cultures around the world. I especially loved spending time recently with my Japanese-American friend, Aiko Hamada, a 92-year-old pistol from Ogden, Utah. 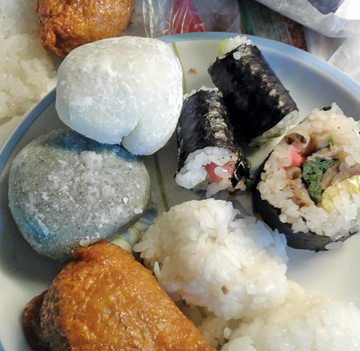 For the past 60 years, Hamada has prepared a tableful of mochi, sushi, ageshushi and manju to mark the Japanese New Year, which is celebrated over three days beginning Jan. 1. Hamada is certainly a keeper of the mochi tradition and took the time to explain how she makes this meal-ending delight that I’ve always considered more of an appetizer than a dessert. Mochi could be considered a little “bite” of dessert. Not too sweet, mochi is a traditional glutinous rice cake made from sticky rice that’s placed in a wooden container, then patted with water and mashed until it forms a sticky white dumpling. While it’s enjoyed year-round on many occasions, a large batch is typically made before New Year’s and preserved by freezing to eat throughout the winter. Unlike the store-bought mochi—which you might have seen in the frozen dessert section in ice-cream flavors—homemade mochi is a light and chewy treat, with the soft sweetness of rice shining through. To create the delightful packages, rice is first steamed and then hit with a stick or pounded (Hamada says machines do that now). 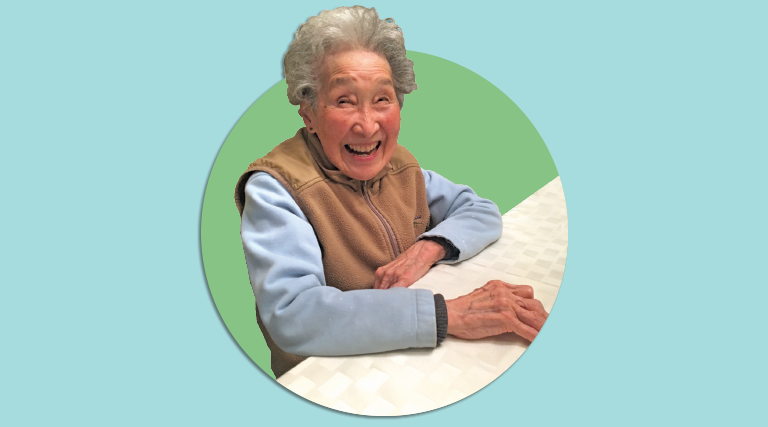 As a young girl, Hamada recalls how all the neighbors would gather to cook the rice in a large cement crock. The sticky rice was then made into a paste, and friends would take turns hitting the rice with a long wooden dowel to create a sheet that would become the exterior wrapping molded around a paste filling made with adzuki, lima or red beans mashed with sugar. Hamada’s mother taught her to make these delights when she was 7 years old. When Hamada married, she and the women in her extended family would gather together three to four days before New Year’s to make the mochi for the celebration. Hamada says that usually one or two of these chewy mochi pieces at most are eaten with tea as dessert after a meal. Obon, another Japanese festival, is celebrated in July or August to honor deceased ancestors. For special occasions such as these, a variety of manju (pronounced mahn-joo)—a Japanese pastry—is prepared. Some are made with mochi, some with flour. Yaki manju is a cookie baked with flour, with a lima-bean filling. Spending time with Hamada reminds me that we’re never too old to cook. While she’s outlived many friends and family members, she can still run circles around those half her age. She continues to help with the Ogden Buddhist Temple’s Bazaar every October, where in years past she taught dancing. She suggests that everyone come to try authentic mochi and manju and expand their knowledge of Japanese food culture. For more information on Ogden Japanese Buddhist Church events, visit their Facebook page or website at OgdenBuddhistChurch.org.